A couple of years ago, my colleague, Siobhan, and I attended a workshop that emphasized the importance of teaching students transactional phrases and words in the target language to be used during class activities. The presenters stressed that the value of whatever cutting/pasting/coloring project we had going on could be lost because students drop the TL to speak in English, but it's the transactional language that's the real life part. 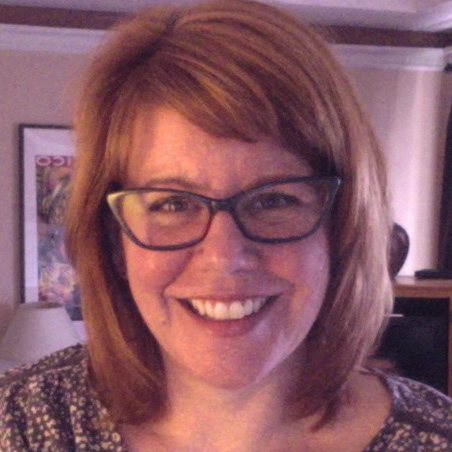 This rang true for both of us and we went back to school, where between us, teach kindergarten through 8th grade, and put some new practices in place to support TL use in our classes. 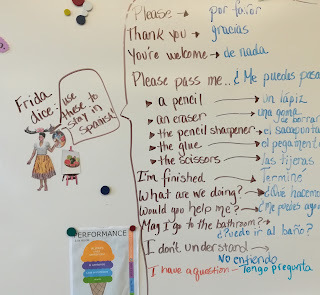 As a part of our process, we asked the children what language they needed to get their needs met and express themselves without defaulting to English. The list of language is ever evolving and is posted on our class white boards, so when a situation arises, we can add it to the list. 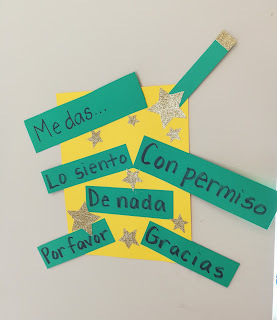 Now having experience with the kinds of things the children need to say, we can predict some of that language and explicitly teach it and have visual reminders posted in our classrooms. What we've noticed is that the children, when given these phrases and words, use them. Phrases like ¿Puedo ir al baño? or ¿Me das un lápiz? can be heard from very young children through middle school. 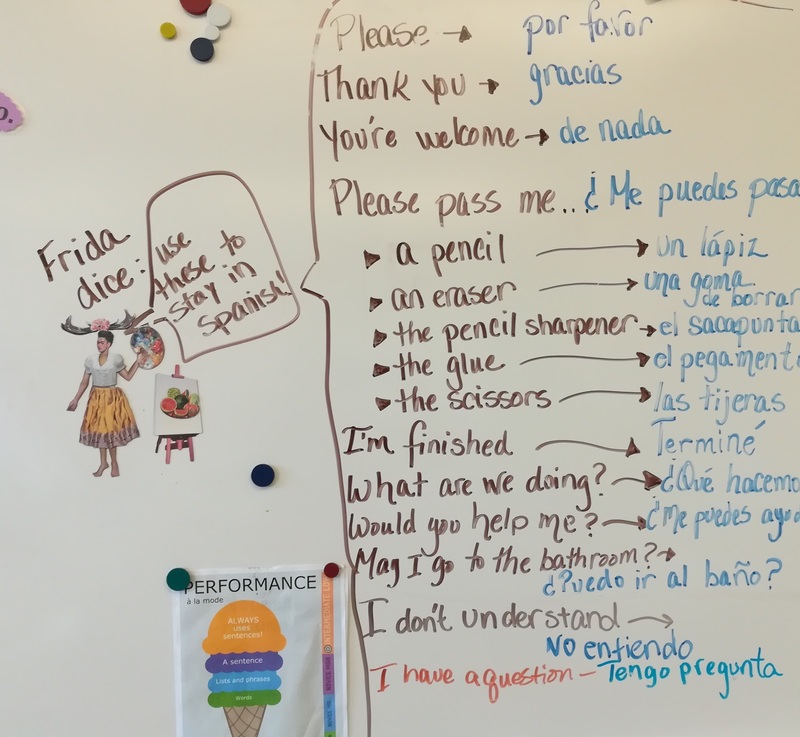 Not only are the children learning necessary transactional language, we're laying the foundation for on-going inquiry and ownership of their language learning. 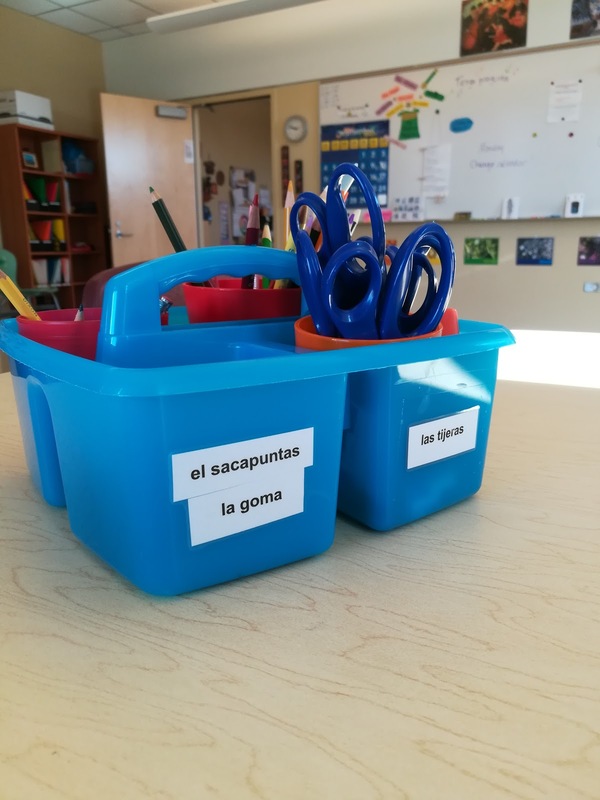 In upper elementary and middle school, rather than dropping to English, students ask "Cómo se dice...?" for something they need to express an opinion or ask a question, and add the language to their personal vocabulary lists for future use. This stems from their early experiences in lower elementary and being supported in using target language from the start.